Thanksgiving is a time to gather with family and friends to give thanks for what you have, celebrate being together, and make new memories. As you host get-togethers this holiday season, these creative Thanksgiving tables, décor, drink, hors d’oeuvre, and dessert ideas will help your parties shine and make your guests feel loved. Whether your style is to go all out or you just add a few elegant touches of Thanksgiving décor to your home, these pretty tablescapes and arrangements will give you some inspiration. 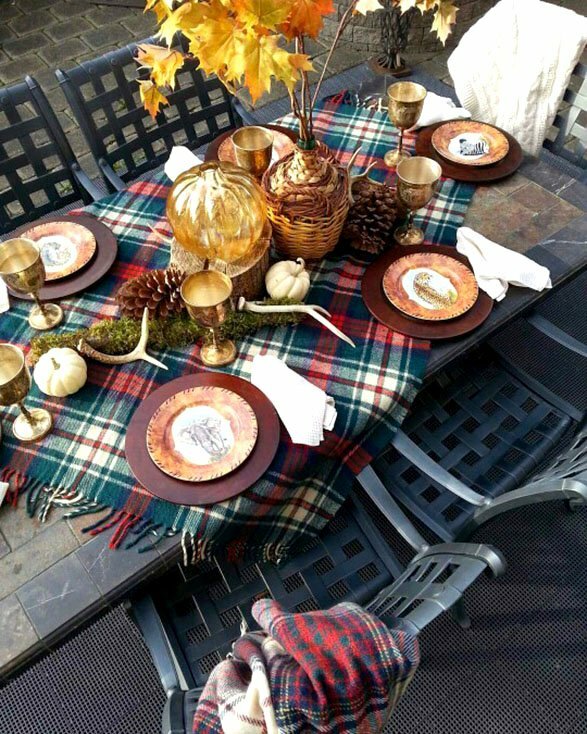 Decorated with pumpkins, pinecones, leaves, and antlers, this welcoming table is set for a rustic celebration. 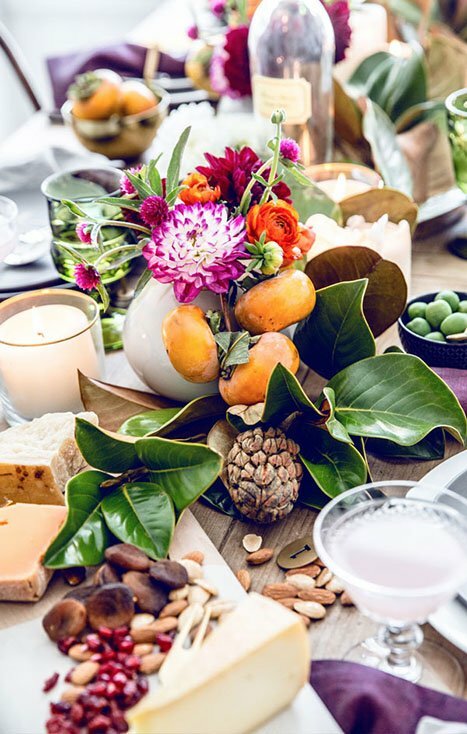 This gorgeous table is layered with fall flowers, magnolia leaves, oranges, pinecones, and candles. 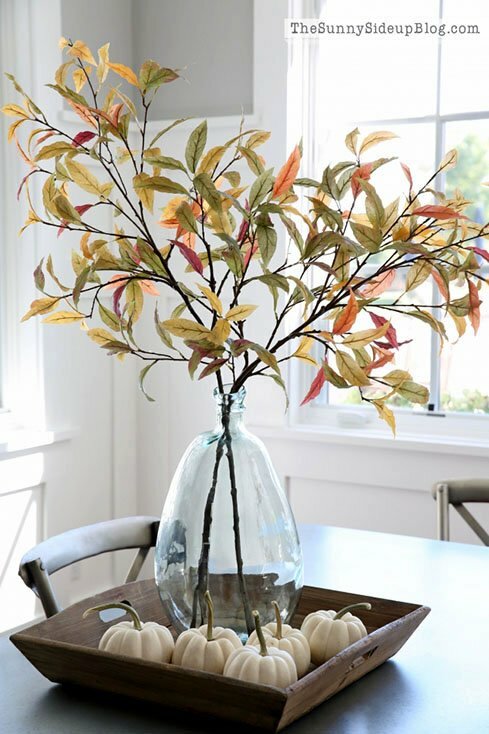 This simple autumn vignette makes a lovely statement on a side table. 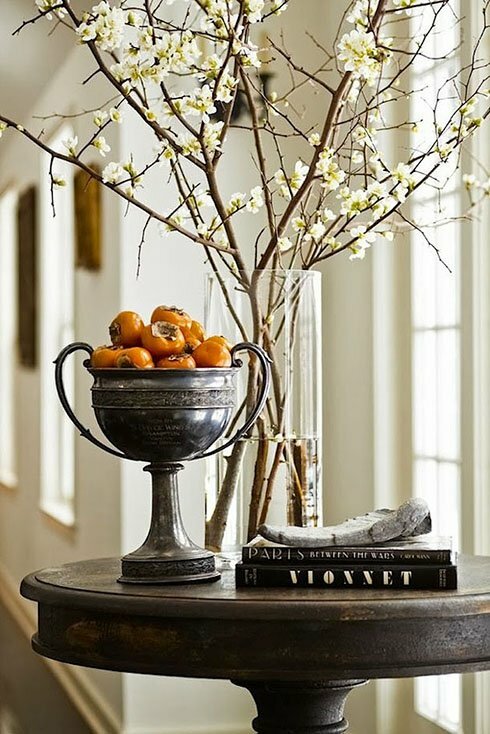 In this centerpiece, branches of faux fall leaves from Pottery Barn are tucked in a cleat vase and surrounded by mini white pumpkins nestled in a wood tray. 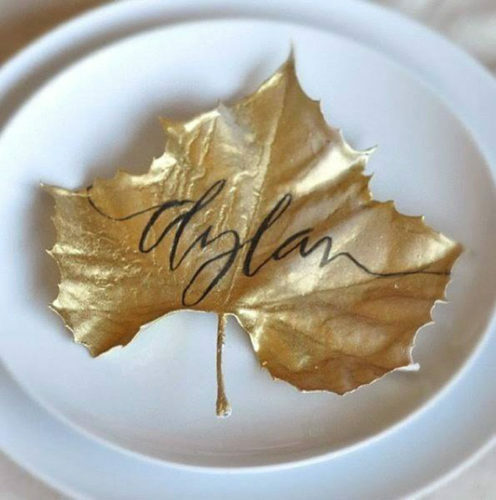 These painted leaf place cards are easy to make with some leaves from your yard, spray paint, and a paint pen. Holiday parties are a great time to serve special drinks, alcoholic or otherwise. Here are a few sensational sippers you might want to try. 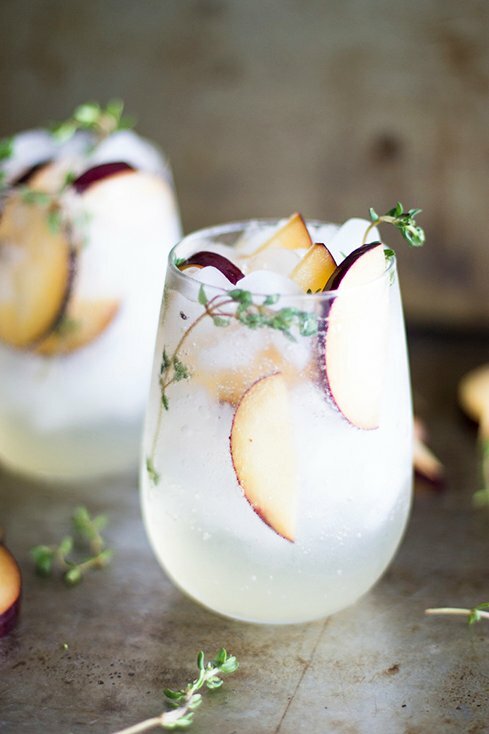 Who says sangria is only a summer drink? 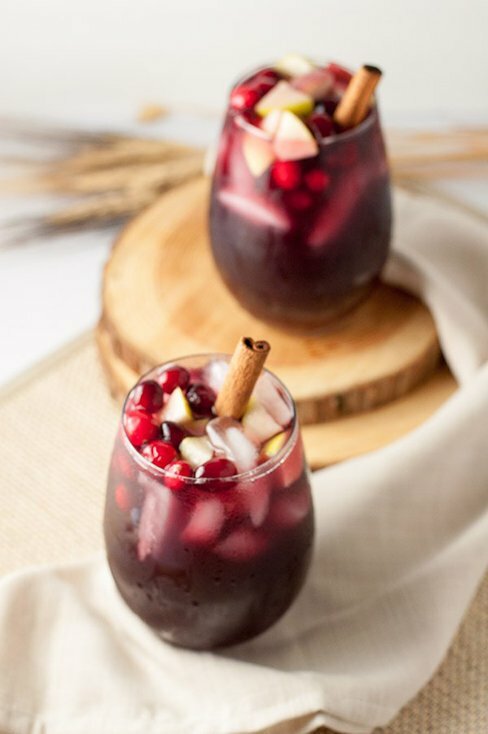 This Cranberry Apple Cider Sangria is perfect for fall. Bubbly prosecco is a favorite at celebrations, and this Plum and Thyme Prosecco Smash will be, too. 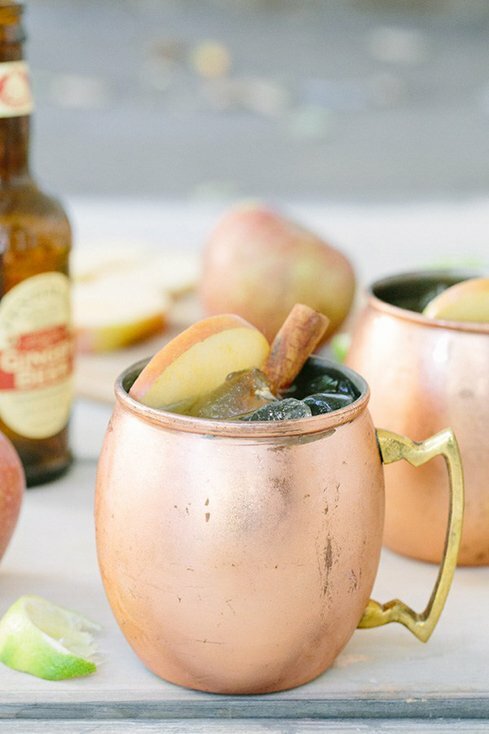 Apple cider is the quintessential fall beverage as apples are harvested and pressed for cider, and this Apple Cider Moscow Mule will be a hit at your seasonal party. 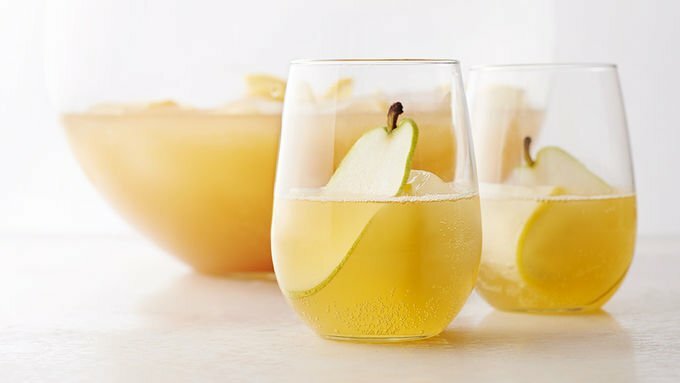 For a nonalcoholic fall-inspired beverage, try this light and refreshing Sparkling Pear Punch. 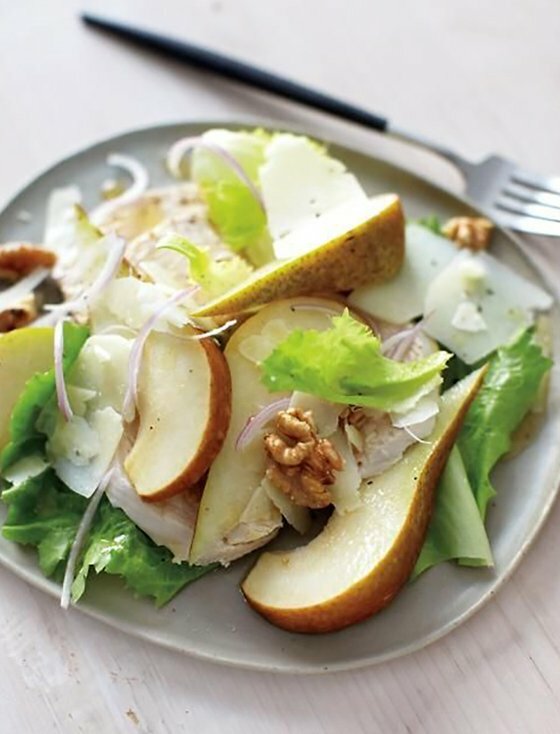 Fall menus are rich in earthy fruits, warm spices, salty proteins, and comforting creaminess. Serve some of these tasty appetizers at your holiday get-together, and you’re sure to get requests for the recipes. 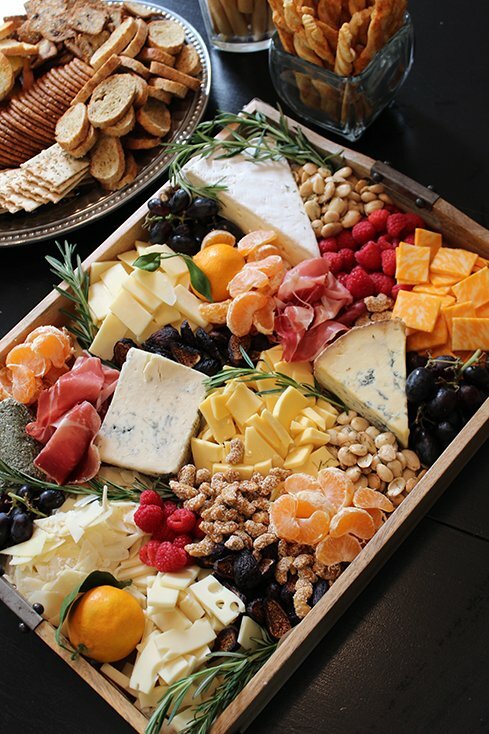 For a fantastic starter, your guests will love this quick and easy Fall Cheese, Fruit, and Nut Tray. 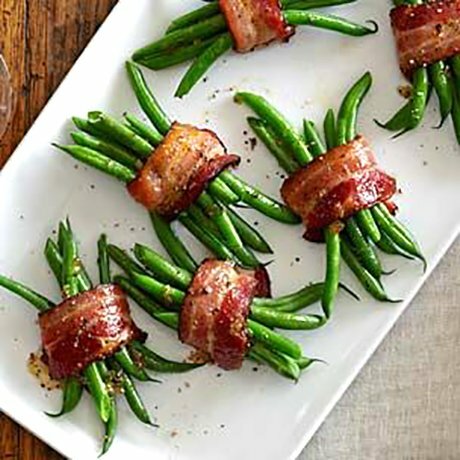 These elegant Green Bean Bundles with Bacon and Brown Sugar are the perfect bite of fresh, salty, and sweet. 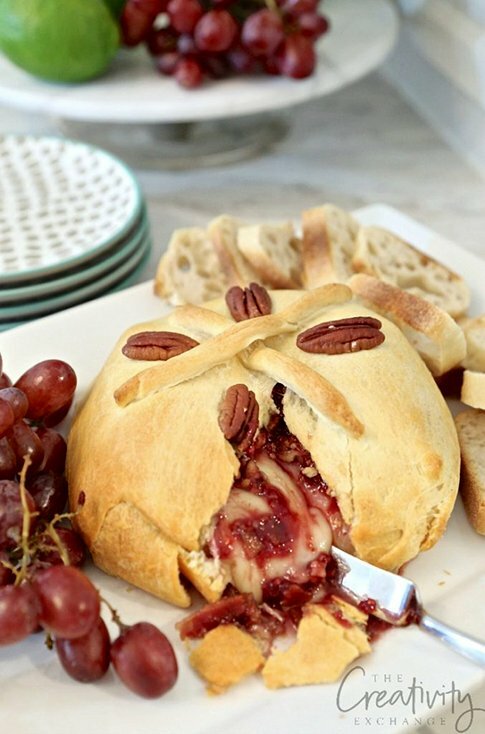 Warm Brie mixes with bacon, raspberry preserves, and pecans in Cyndy’s easy Raspberry and Pecan Baked Brie en Croute. 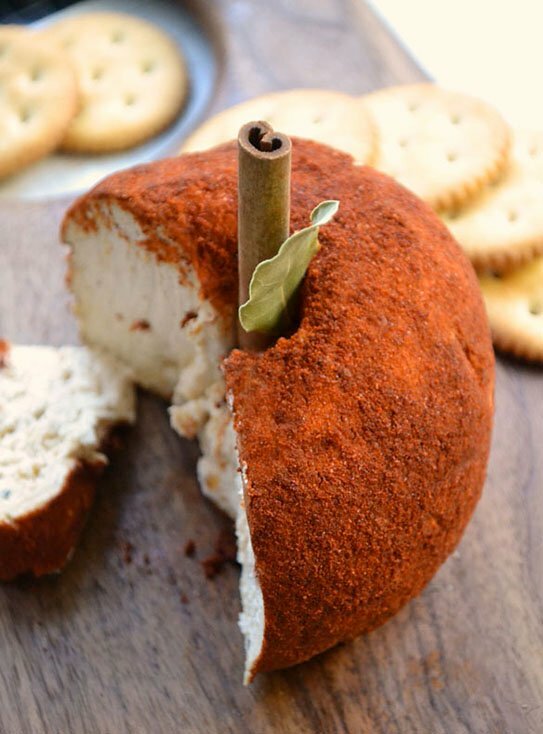 This Spiced Apple Cheese Ball will be a hit at any party because it tastes as great as it looks! 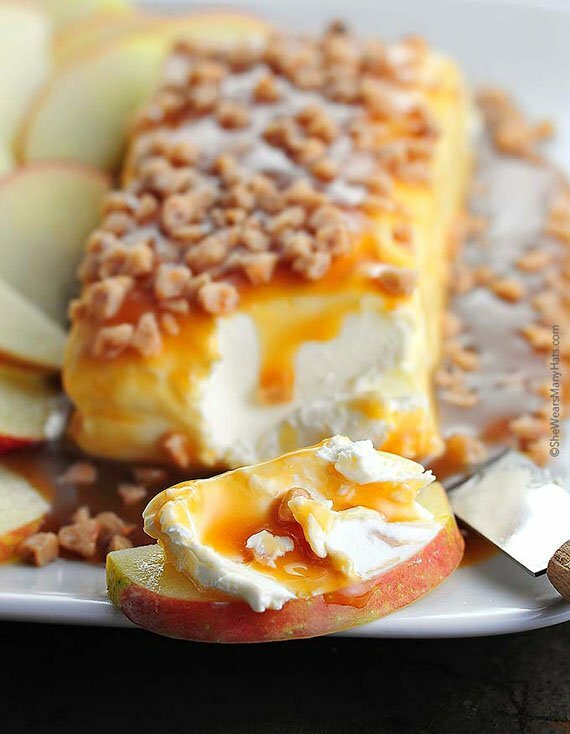 I debated where to put this sweet and creamy Caramel Apple Cream Cheese Spread—in the appetizer or desserts section. It’s light enough to be a sweet appetizer spread, rich enough to be a simple dessert, and easy enough to make for every get-together. 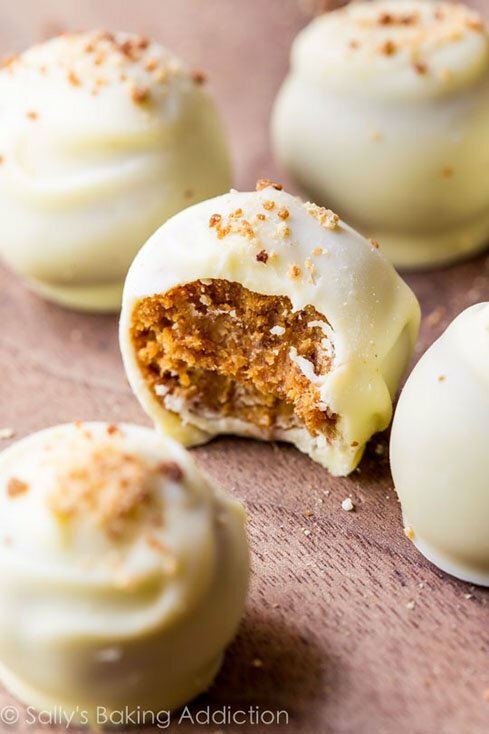 Pumpkin pie is the Thanksgiving dessert, but these sweet treats will have you skipping the seasonal classic and trying new things. 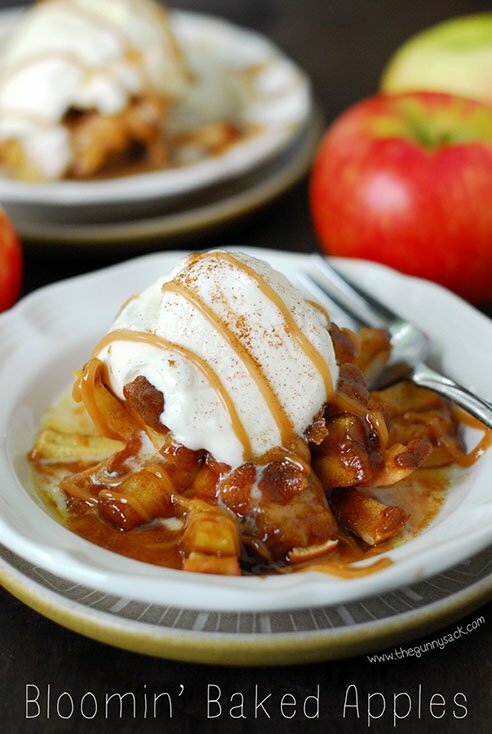 Quicker and easier than apple pie, these Bloomin’ Baked Apples will become a favorite. 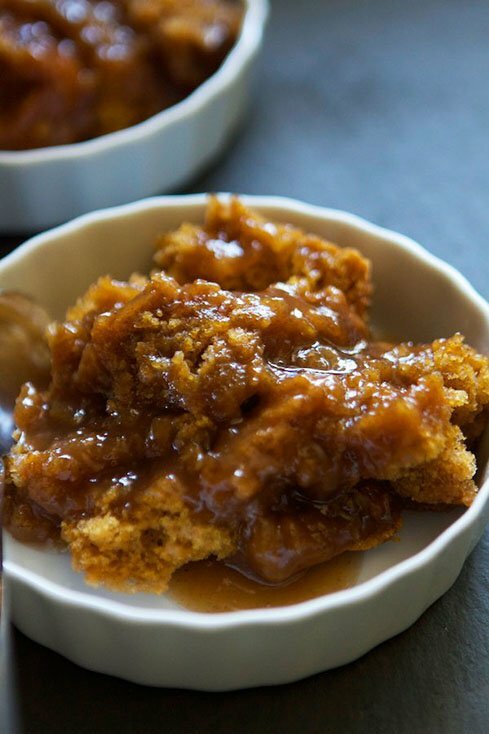 Cut and core the apples, add caramels, top with a cinnamon–brown sugar butter, and bake. 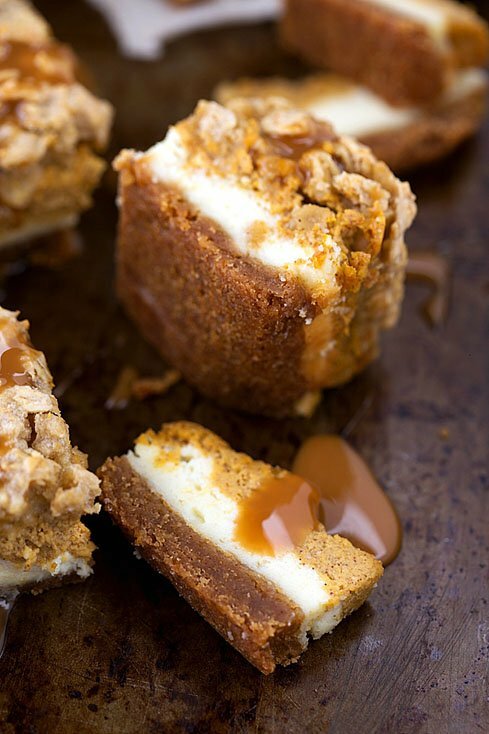 Scoop on some ice cream, drizzle with caramel sauce, sprinkle with cinnamon, and indulge! Pumpkin. Caramel. Cheesecake. Streusel. Need I say more? Cobblers are a simple, rustic, comforting dessert, and this Pumpkin Pecan Cobbler will make your guests feel warm and cozy. Even if you’re not hosting a holiday party or dinner this Thanksgiving, you can still treat yourself to some fall-flavored snacks. These nutty and fruity favorites are perfect for munching on at home or packing up and sharing with those you love. 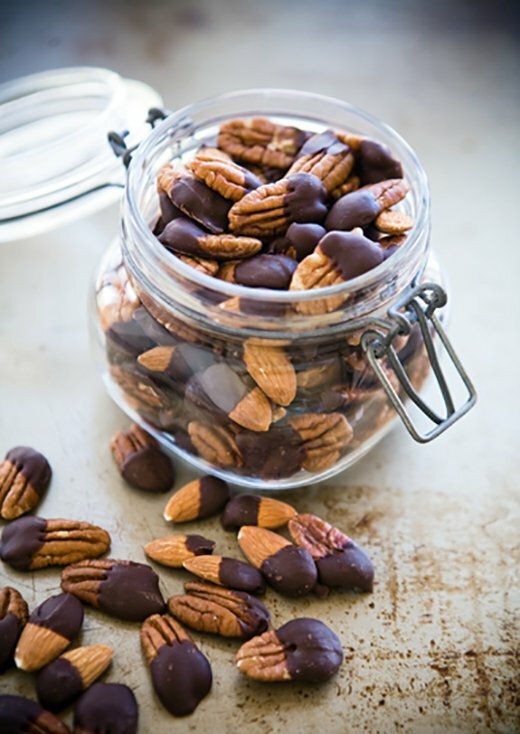 This is Cyndy’s recipe for her amazing Easy Sugared Pecans that, believe it or not, are made in the microwave. 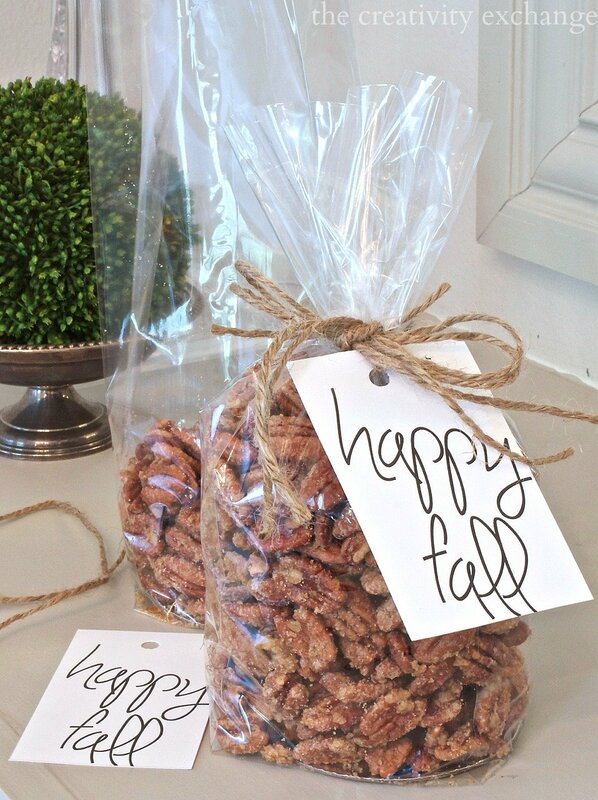 She even created a free download-and-print “happy fall” tag so you can gift these tasty treats! 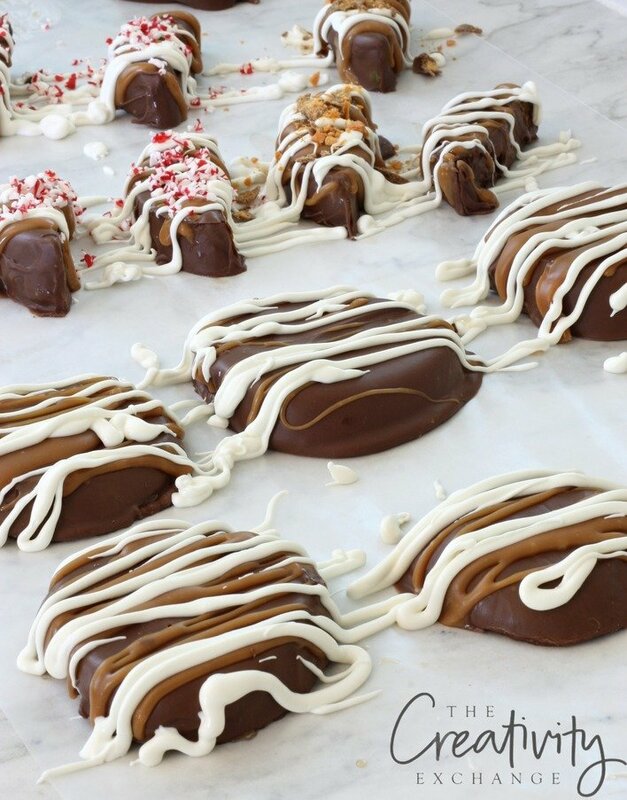 Chocolate and nuts are a perfect combination, and these Chocolate Dipped Nuts give you just enough chocolate to satisfy your sweet tooth without making you feel guilty. 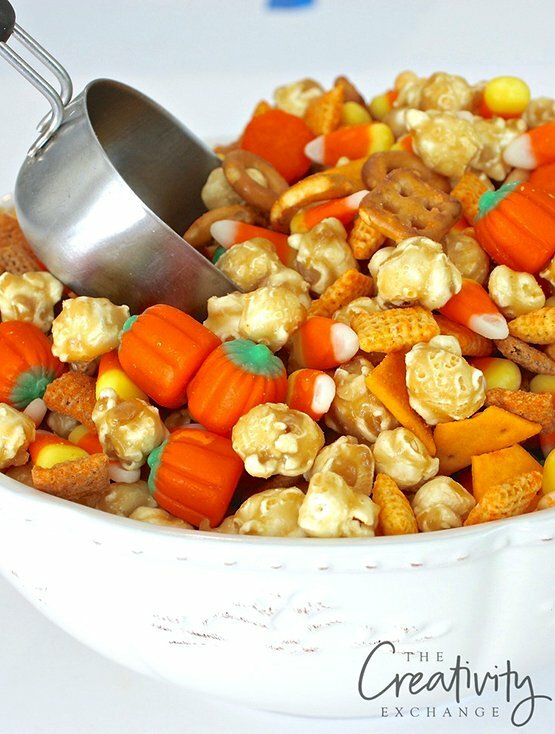 In her Sweet and Salty Fall Snack Mix, Cyndy combines candy corn, candy pumpkins, caramel popcorn, salted peanuts, and cheddar party mix—so easy and so addictive! She even shares a festive “happy fall” gift tag you can download and print to share this mix. Caramel and apples just go together, and these fun Caramel Apple Slices are a fun twist on the classic combination. This holiday season, let yourself get inspired by all things fall in your décor, indulge in the flavors of the season, and share special treats with those you’re thankful for. 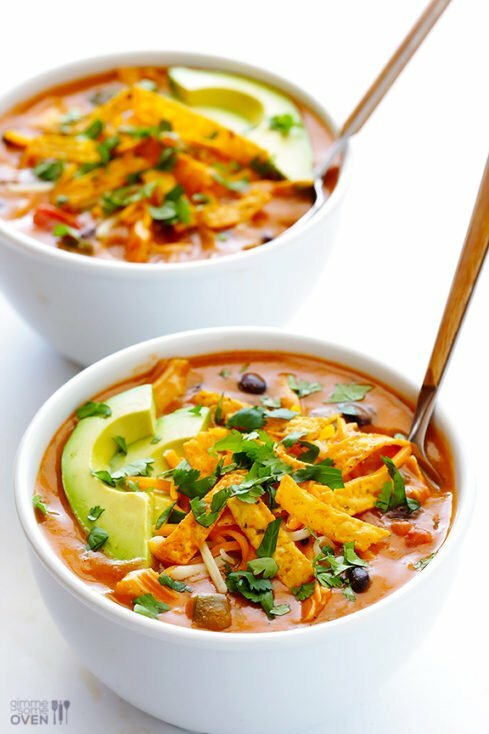 If you’re looking for more fall recipe ideas, last week we shared over 25 fall soups, chowders and chilies here. 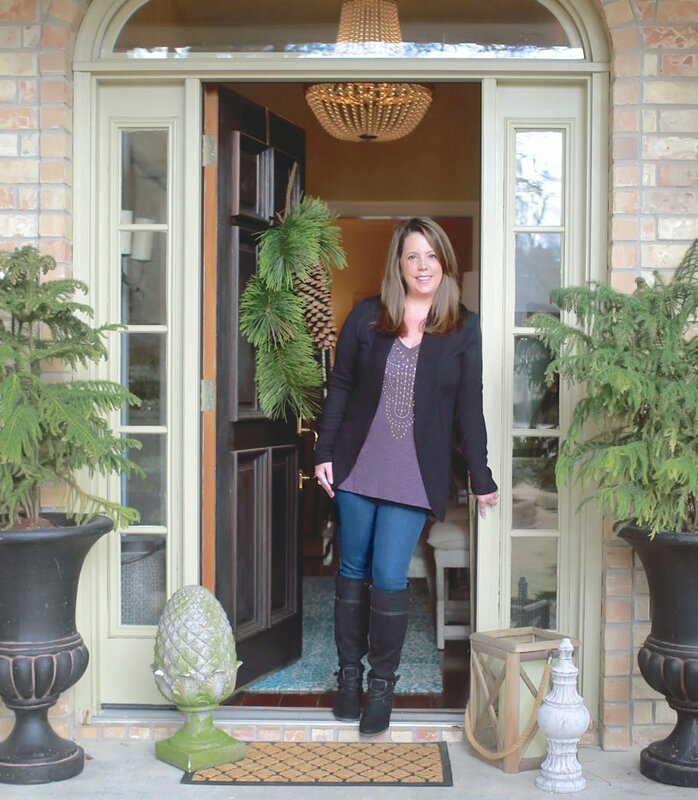 Thanks so much for including my Cranberry Apple Cider Sangria! 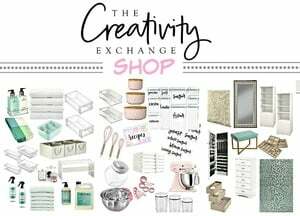 So many beautiful, creative ideas in this round-up! My mouth is watering! Thanks for sharing such beautiful and delicious recipes.